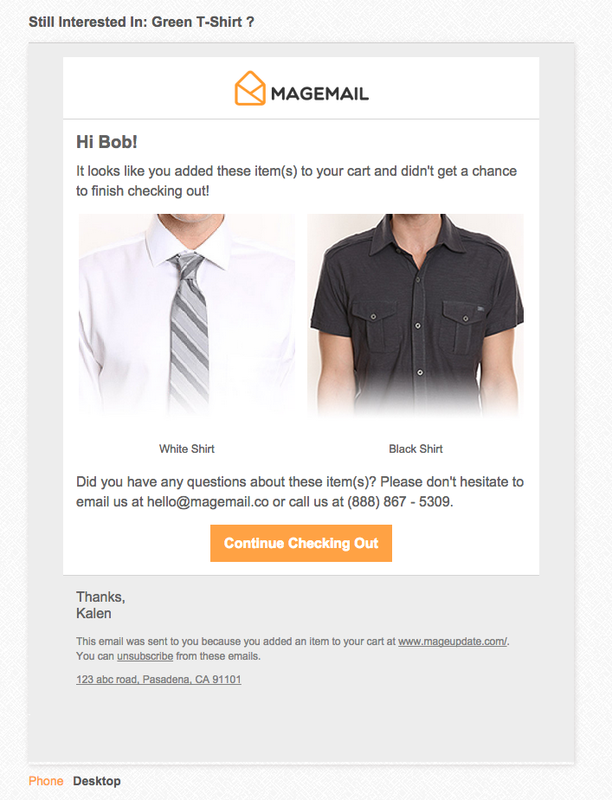 The first abandoned cart email you generally want to go out within an hour of when the cart was last updated. While you could include a discount in this email to incentivize a purchase, you want to be careful not to train customers to expect discounts, especially as they may be completely new to your store and if their very first impression is a discount, they might never want to buy full price. Returning to your shopping cart from an Abandoned Cart emails should check for the presence of the items in the cart before re-adding them in order to avoid double adding them.